The Moroccan city of Fez has been likened to a geode, filled with glittering crystals of art and architecture. Among its brightest refractions are the geometric tile works known as zillij, which grace homes, shops, schools, mosques and streets. Much of the best zillij has been made by members of the last five generations of the Benslimane family. 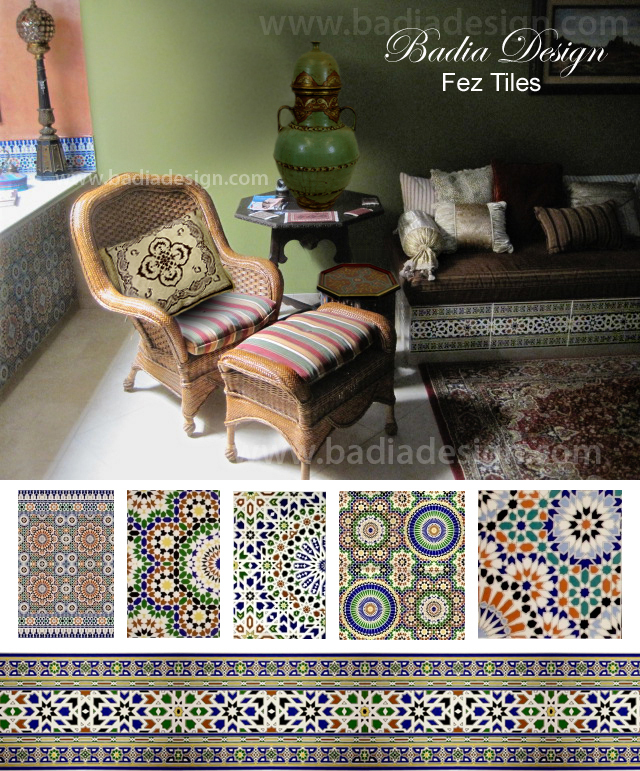 His art of glazed and cut tiles arranged in complex geometries, known as zillij, is everywhere in Fez. Its broad range of color, its infinite possibilities of design and its sudden pleasure of discovery—around a corner at eye level or, at a distance, as part of an architectural whole—all contribute to the striking impression the city gives that it wears two faces at once: an ageless beauty masked by a well-worn antiquity.